Remember that time I woke to the roar of the lions? No, I wasn’t in the plains of South Africa. I was here in London, doing the next best thing – especially if an African Safari is slightly ambitious for your savings right now. I had a sleepover at London zoo – see my blog post from that experience here. A chance to get up close and personal with some of the world’s most beautiful creatures, to go behind the scenes and be a ‘Keeper for the day’. Yup, it’s a thing and it’s open to the public for booking. Book your ‘Keeper for a Day’ experience here. What would your Keeper for a day experience look like? The schedule starts at 8.45am and finishes up at 3.30pm with the inclusion of a zoo ticket in the experience, so technically you can stay until the park closes and full immerse yourself in 9 hours of non-stop wildlife. 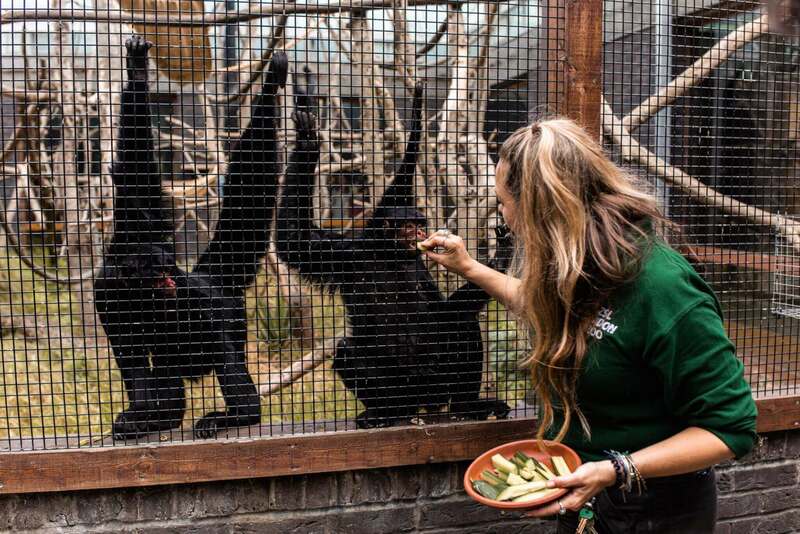 Aside from lunch – it’s hungry work being a zookeeper, you might want a quick stop for that. So bright and early, probably with a coffee in hand, you’ll arrive at the west gate entrance, ready to be kitted out in either a full romper, or a t-shirt if the weather is warmer. Note: Your guide for the day will insist that you wear a recognisable piece of clothing from the Zoo as you will be entering behind the scenes areas and the security need to be able to separate you from standard guests. 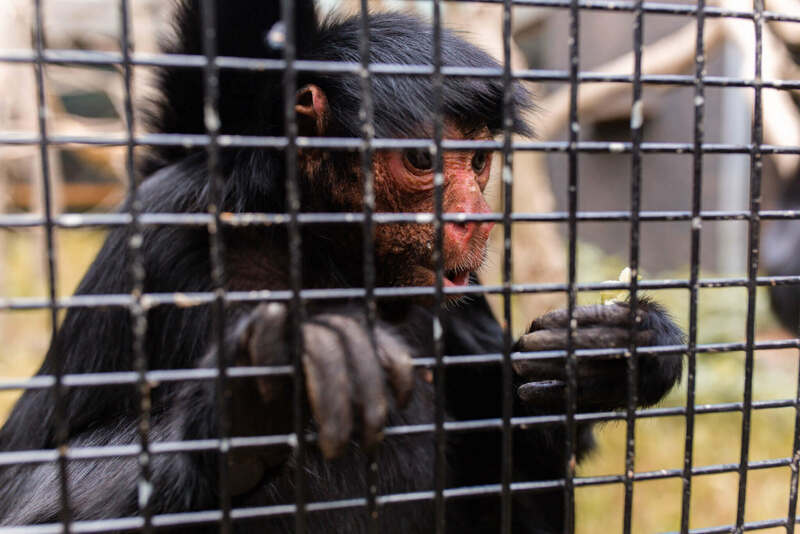 The day included everything from mucking out the camels (you really do get the whole keeper experience) to playing with the spider monkeys, getting up close with the penguins, and preparing lunch for the zoo animals in the keepers’ kitchen. It felt like such a privilege to go behind the scenes and get a taste of what goes into looking after these beautiful animals. Let’s just say, the animal meals are VERY particular. Down to the last 1/4 of a sweet potato. My favourite moment though? Well actually I have two. … but then also standing before and admiring the majestic Galapagos tortoises. How stunning are they?! The Galapagos tortoise is the largest living species of tortoise. Native to the Galapagos Islands (west of mainland Ecuador), these gentle giants can weigh over 400kg and measure over 1.8m long. Enormous!! They can live over 150 years and London Zoo is home to three of these beautiful creatures: Dolly, Polly and Priscilla! I won’t regurgitate everything we were told about the animals, mainly because our guide was so filled with wonderful and fascinating knowledge that we would be here for hours, but also because that’s a huge part of the experience… Getting to know how the animals ended up here, getting to know their personalities, their tendencies and about their breeding programmes. 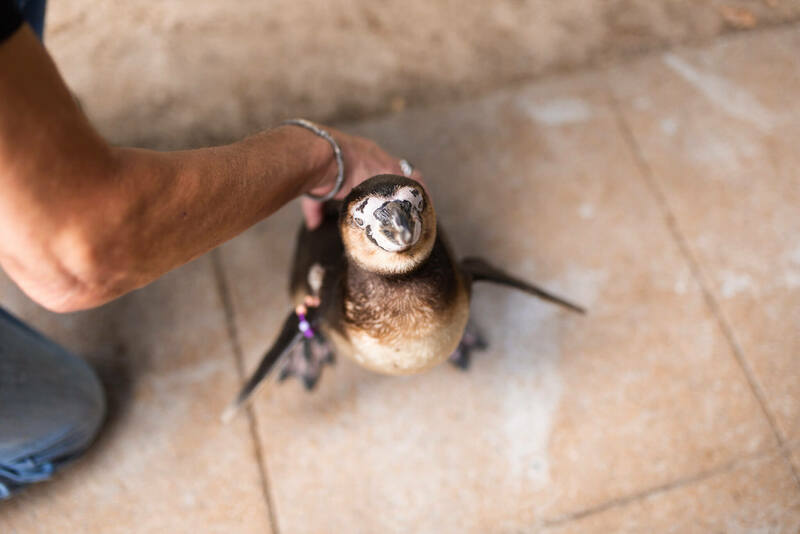 What I will say is that every staff member we came across was insanely in love with the animals they work with and the passion they have for caring and treating them individually is undeniable. It was beautiful to witness. There are snacks and lunch included in the experience but it’s basic, nothing worth writing home about. Coffee and pastries when you arrive in the morning and then a buffet lunch half way through the day. Regardless though, it’s good food and you are fed. No complaints. If you know an animal lover or are one yourself, this experience is one to add to the bucket list. See more about what’s included and book your Keeper For The Day experience here. Thank you so much to London Zoo for inviting us down. You never fail to show me the magic of being in London if Africa isn’t an option. If for any of you, Africa IS an option, I’ve recently been to Kenya on a 5 day, 3 park safari so you should most definitely check out my blog posts here. Have You Been To London Zoo? What were your favourite animals? I’d love to know! ?